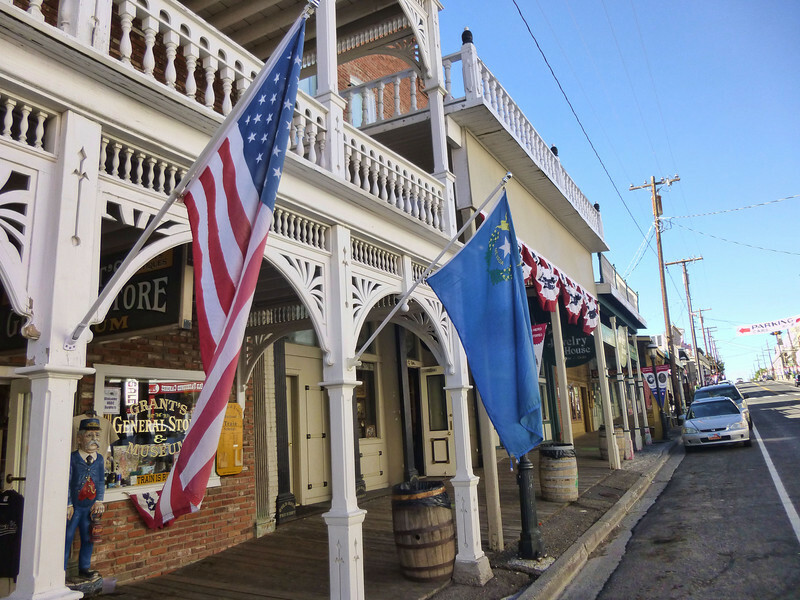 Virginia City, The Queen of the Comstock. It lives today as a destination for those seeking a taste of the old west. Many buildings have been restored. The abandoned railway from Carson City has been rebuilt on the old roadbed. A shorter train ride goes to Gold Hill and back, shown in this gallery. The cemetery, Fourth Ward School, Piper's Opera House, museums, and shops are some of the fascinating places to visit. Photography by Bob.